Lords & Ladles – Season 2 (2018) – What's New on Netflix Canada Today! 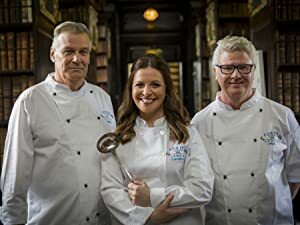 Lords and Ladles feature three of Ireland’s top chefs – Derry Clarke, Catherine Fulvio and Paul Flynn – who are challenged to recreate elaborate menus from different centuries in some of Ireland’s grandest Country Homes. Three of Ireland’s top chefs — Derry Clarke, Catherine Fulvio and Paul Flynn — gather at opulent country manors to re-create banquets from the past.